HOUSTON (KTRK) -- They're some of the most violent offenders across the state of Texas and they're headed now to prisons across the state to try and convince others not to follow in their criminal footsteps. Thirty-three convicts at the Texas Department of Criminal Justice's Darrington Unit on Monday graduated with a bachelor's degree in biblical studies. The program, paid for through the non-profit "Heart of Texas Foundation," requires that offenders complete a full four and half years of school and 125 academic hours before graduation. "God has transformed some really bad people into some really amazing people," said Ben Phillips, director of the Darrington program. The idea came several years ago after Lt. Governor Dan Patrick and State Sen. John Whitmire toured a prison in Louisiana that started a first-of-its-kind program and found it reduced violence within its walls - transforming it from one of the most bloody to one of the least. "It's gonna be a bombshell in a positive way, what this program can do to turn around our prisons," said Texas Lieutenant Governor Dan Patrick. The offenders will now be dispatched to prisons across Texas. They'll live among the general population and convince as many as they can to change their ways. "Change the hearts and minds of men in the prison system," said Lawrence Burks, Jr. who is among those who earned his degree. Michael Judson Chambers was convicted of murder. Has always remembered his sentencing in 1997, when one of the victim's mothers, he says, told him in court she hoped he would find God. "That impacted me greatly and I've always wanted to tell her, 'Thank you. I'm sorry.. for what I've done,'" Chambers said. The idea is to give convicts who otherwise have lost their sense of purpose and any sense of hope, a new perspective. It's a chance to change the world from inside the prisons - out. "Man, there's hope. Just hang on. Your angel is coming," said Chambers. The offenders we interviewed said this by no means lessens their guilt in the crimes they committed. 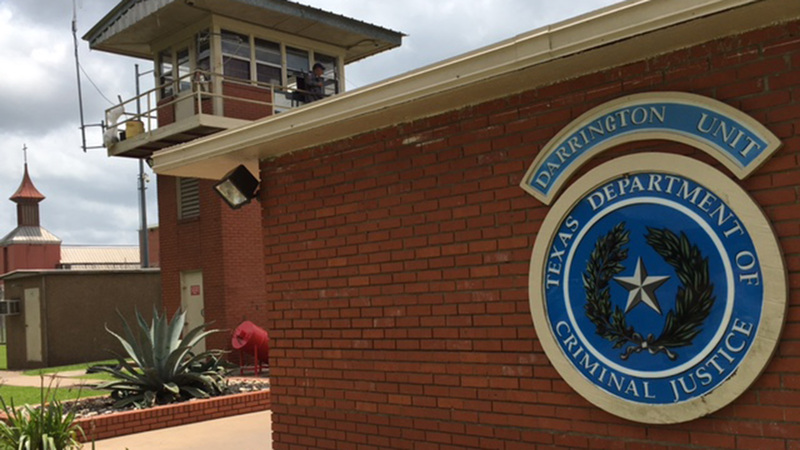 Baylor University is coming out with a study soon on whether this program has reduced violence at the TDCJ Darrington Unit or elsewhere within the prison system.